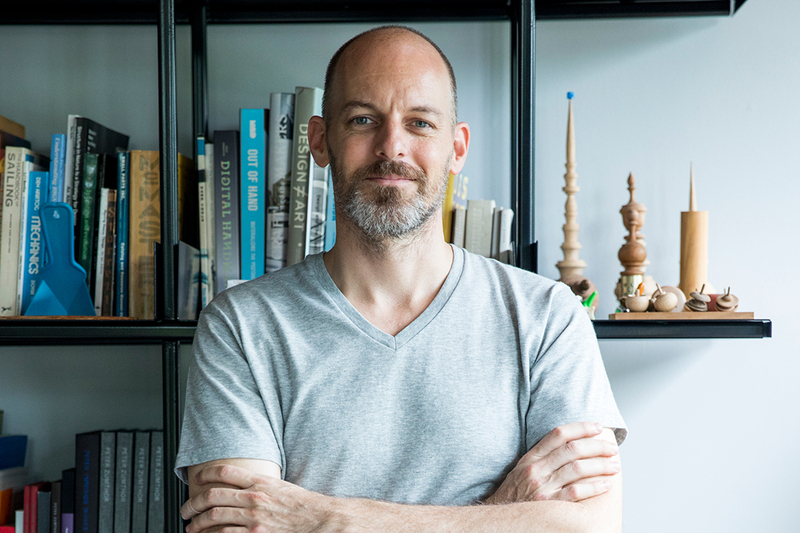 INDE.Awards 2019 Ambassador David Schafer, founder of Thai practice Studiomake, talks about the studio’s distinct approach, which sees no boundary between the acts of design and construction. 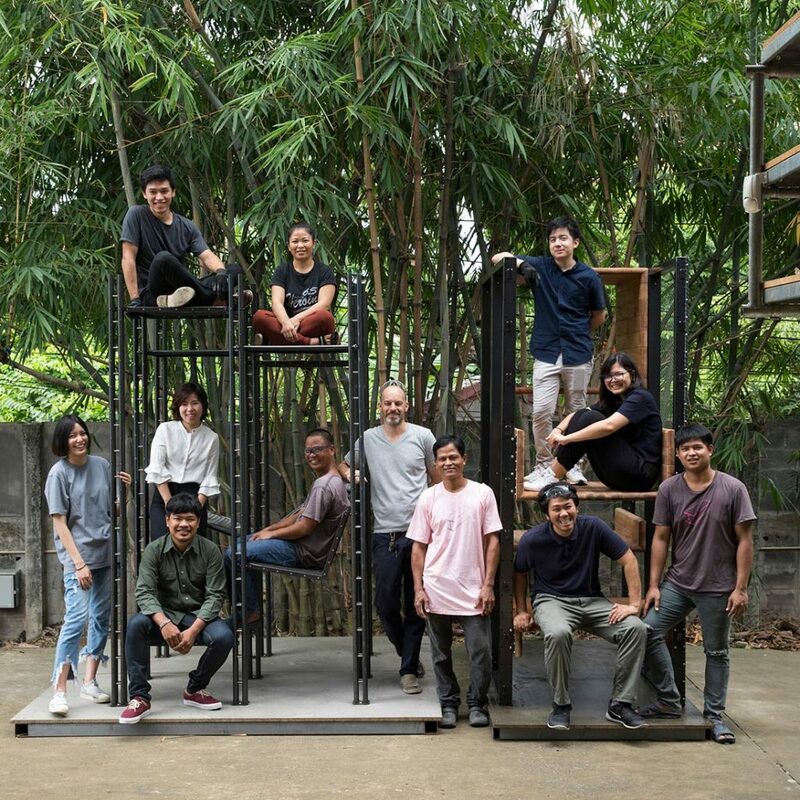 “A remarkable and ingenious model for the Southeast Asian design studio,” cited the INDE.Awards 2018 jury of Bangkok-based practice Studiomake, the winner of INDE.Awards 2018’s ‘The Design Studio’ category. Studiomake was founded by David Schafer and Im Sarasalin Schafer in 2009. David and Im received degrees in architecture from the University of Arizona in the United States and completed post-grad programs in metalsmithing and ceramics, respectively, at Cranbrook Academy of Art. 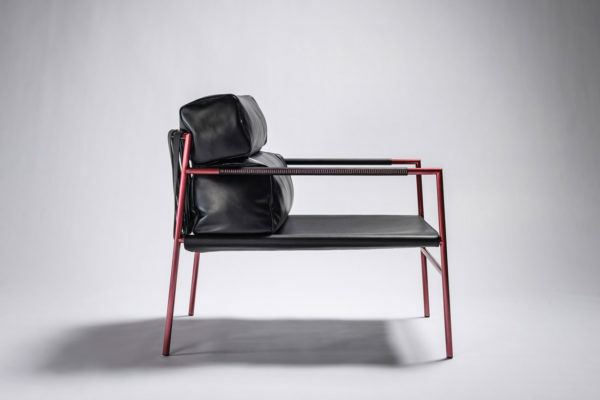 The studio explores the overlapping realms of architecture, interiors, furniture and object design. 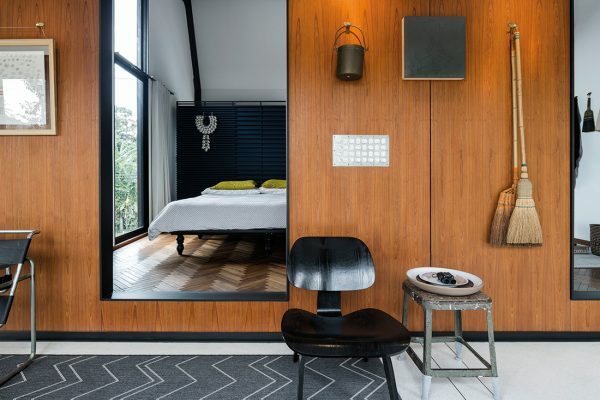 Its projects shift from buildings to doorknobs, and its roles vary from architect to contractor, collaborator, and or fabricator. 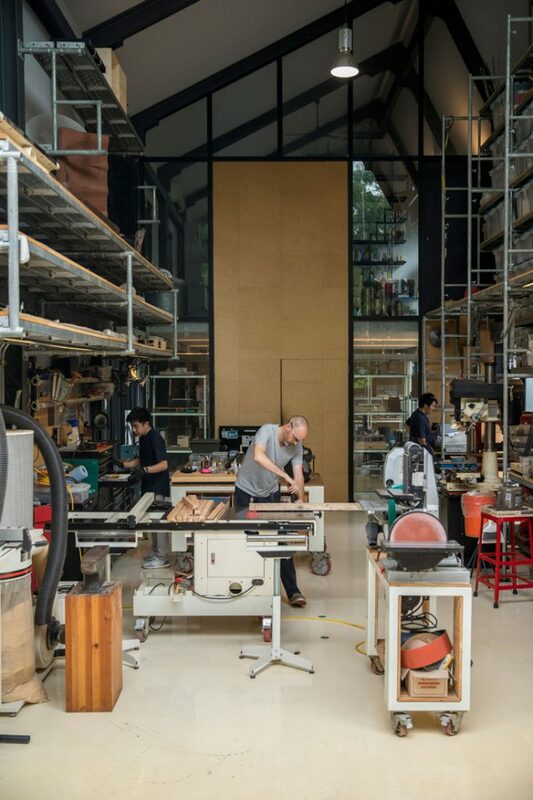 For the studio, there is no distinct boundary between the acts of design and construction – a point underlined by the presence of a workshop in Studiomake’s space. Indesign Magazine Editor Alice Blackwood asked David to share more. Tell me about the role of craft (in its many forms) in your projects? For us, craft is simply inevitable. 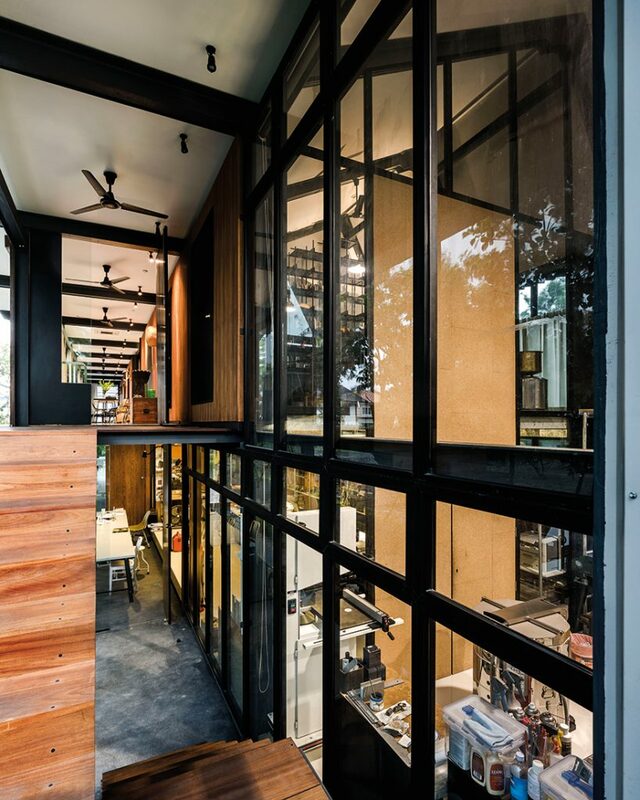 We really can’t consider the design of things separate from the making of things, the simple name of the studio is a reminder of that and the strong connection between our studio and our workshop is a facilitator of it as well. For us direct interaction with materials and techniques is the critical headwaters of our ideas, creativity comes from that empirical and technical understanding. One of the most concise examples of this was a project we did in grad school where after seeing ceramic pieces slump in undesirable ways, we took this moment of failure as an opportunity and designed a series of ceramic vessels that capitalise on that precarious moment within the kiln to ‘complete the design’. This was an idea we could have never conceptualised without being immersed in the craft. Within our architecture, it is very similar; by being deeply involved with the structural design and fabrication of the project we are able to integrate and co-mingle the moments of design with the moments of pragmatism. Tell me about how ‘intimate scales of interaction’ play out through your projects? Because our process is always hands-on we typically start a project equally focused on the micro and the macro. Even our big projects often start with a detail, an idea about how a specific material might interact with another. And we develop these notions along with the space planning or even programming or a project. 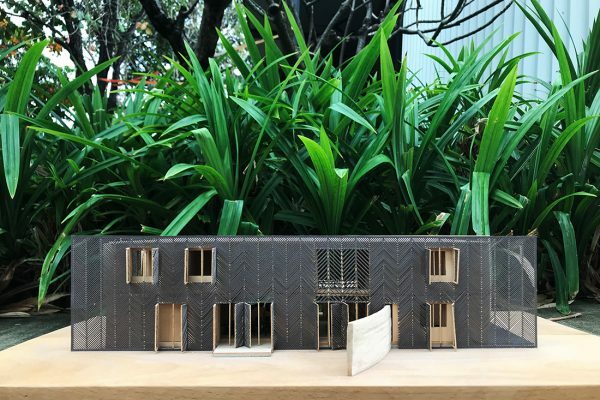 Right now we are helping to craft an extremely early proposal for a Gandhi Pavilion in order to help the client begin to seek funding and resources. While we are putting together a publication about who Gandhi was and what a building about him might be we are also experimenting with prototypes for a screen wall and furniture elements. Once we have an actual site, and the project becomes ‘real’, things will invariably adjust. We start a project in an intimate way and think that this will translate into the users’ relationship with the project as well. Do these also flow through to the user and how they interact with the buildings and spaces your design? 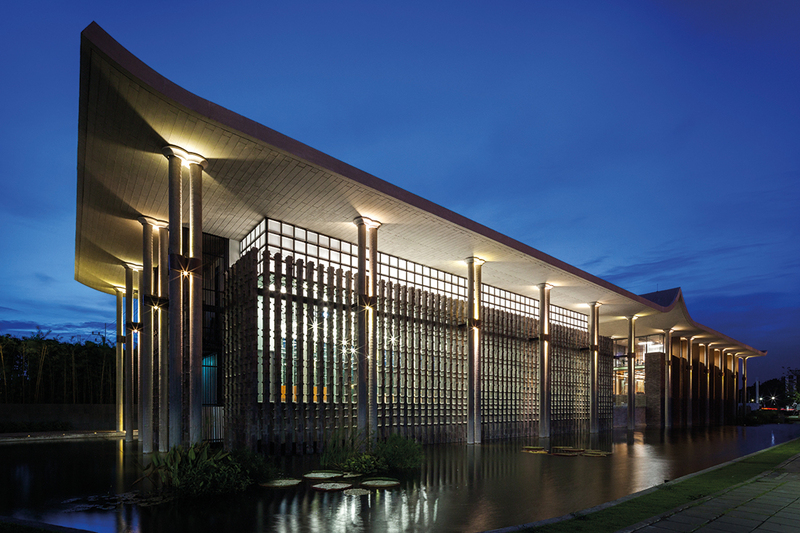 Our process has an intimate scale of interaction and ideally, our buildings do too. We like to think that our work is best appreciated from the inside; it gets better as you get closer. Often the formal aspects of our buildings are quite boring but with time and interaction, the complexity of the details and clarity of ideas becomes more interesting and evident. It isn’t that there is an underlying story that a user needs to decode in order to fully appreciate the ‘concept’, we don’t seek to soak the architecture with philosophical agendas. 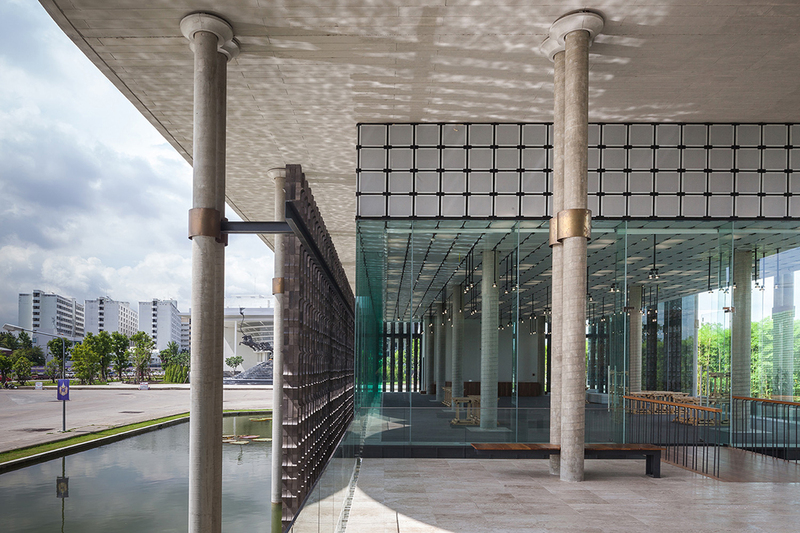 But ideally all of the elements coalesce into a cohesive, well-considered environment and we think the details cue a user into the sincerity of the building. The way a firm handshake and an open honest gaze can signal the beginnings of good intent we like our buildings to have a good handshake as well, and as Juhani Pallasmaa has advised we think this starts with a nice door handle. Tell me about your experience of living, working and designing in Thailand? Thailand has really been an ideal environment for us to foster and develop our approach to making work. One of the reasons simply being the reduced costs of living; being ‘experimental’ represents less financial risk (for both us and the client!). So we are able to try out different ideas, test something new on each project, and be less afraid of failure within our process. With a dramatically lower overhead both personally and professionally we’ve been able to still live comfortably without compromising the work. 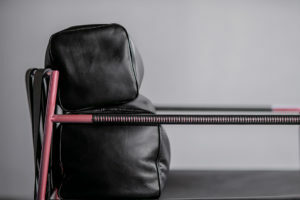 Especially in the early days, we were able to cheat the usual sacrifices one has to make in order to find a healthy life-work balance. 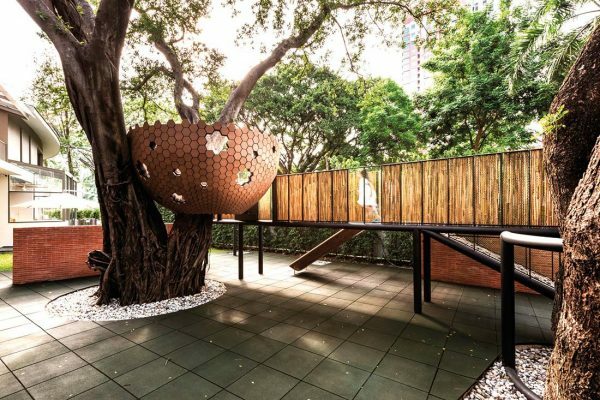 Like many tropical countries, the heat and sunshine encourage a more relaxed approach to many things but a balanced assimilation into the culture has come naturally, we learned to accommodate without ceding ideals. We brought a certain agenda when we moved here but it has evolved and advanced in response to the context. 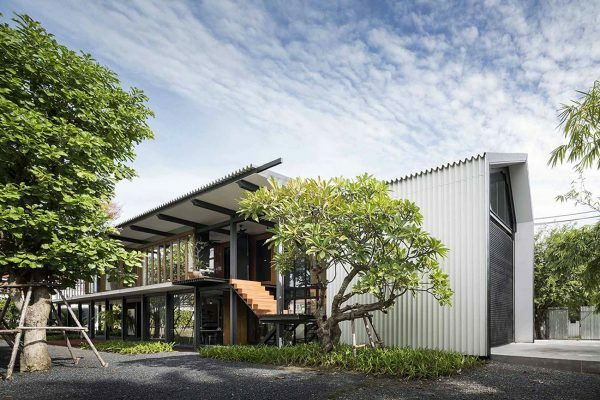 While our practice might be atypical we are Thai architects. Furthermore, what do you see as being the challenges and opportunities? The primary challenge/opportunity here for us is the inverse relationship between the cost of material versus the cost of labour when compared to the West. Our education and early professional experience didn’t really inform us of this condition but I think the underlying DIY spirit of our background and our desire to simply get dirty and make things had us well positioned to take advantage of it. It took us a little while to figure this out in the beginning but the lack of certain conveniences, wonder-materials, complex time-saving devices and techniques actually becomes an advantage; an amazing opportunity to reinvent the wheel. The most interesting things come from the need to fluidly improvise – we found equal early inspiration in a book on illicit objects made within Russian prisons as we did Kevin Low’s writings on design in the Southeast Asian context. When you start to replicate something you wish you had, customisation and reconsideration is inevitable and we’ve been focused on the opportunity of crafting labour intensive things with ordinary materials. David Schafer is one of our INDE.Awards 2019 Ambassadors. 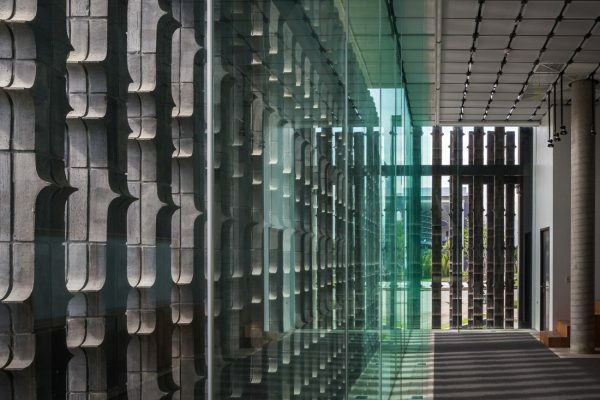 Entries to INDE.Awards 2019 are open – enter now to put your work on stage across the Indo-Pacific. And click here to read why you need to enter INDE.Awards 2019! Project Images courtesy of Studiomake. Portraits by Adit Sombunsa for Cubes 93: Designing Wellness. Are you a design news junkie? Us too! Sign up to our newsletter to stay in the loop! Surrender your details here to receive emails, updates and design world news from Indesign Media, publisher of Indesign Magazine, as well as more from our broad collection of design titles and design events. 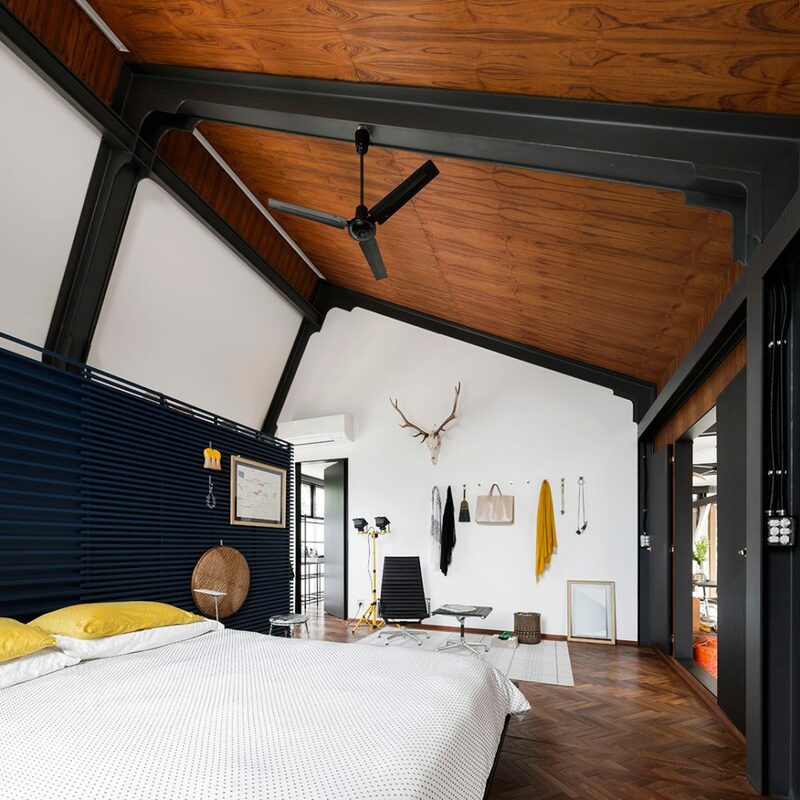 Are you a design junkie? Register now for your weekly dose of design. 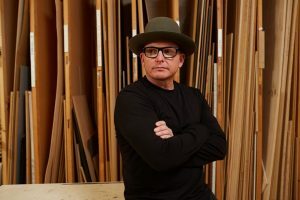 Jon Goulder has been a mainstay of the Australian design industry for 20 years, but it’s only now that he considers his career to be taking off. 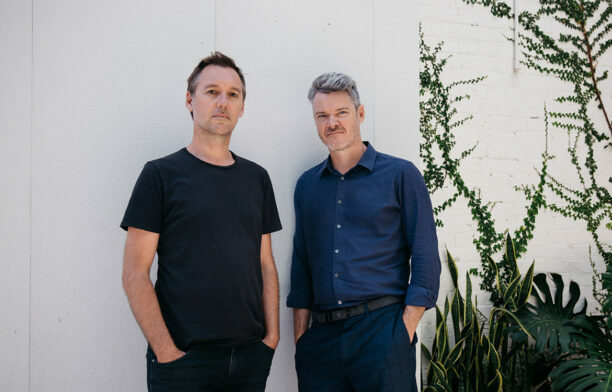 With a new gig at Snøhetta, and blossoming partnerships with the likes of Spence & Lyda and Rakumba Lighting, Goulder is establishing his own unique design language. 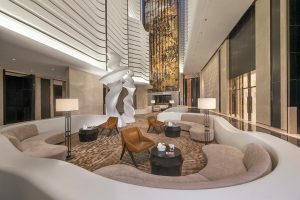 LTW Designworks’ latest hotel interior in China embraces the rich cultural and literary traditions of its host city, Nanjing. 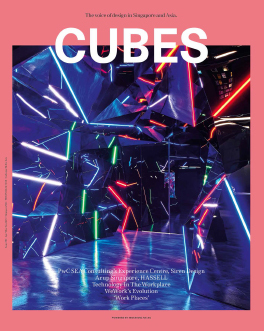 Cubes Issue 95: Work Place Is Out Now! What does the ‘place’ in workplace really mean? 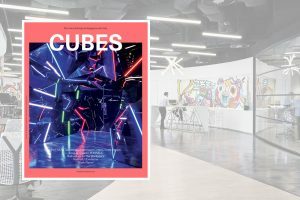 Cubes 95 investigates the extent to which the workplace is being redefined for human experience and to facilitate the most effective communication between people. 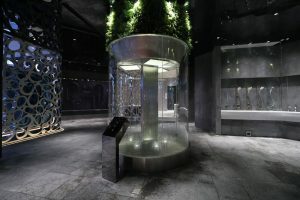 Designed by AB Concept Hong Kong, the four-storey Kohler Experience Centre Shanghai takes visitors on a journey that includes a secret garden, a Fifth Avenue-inspired floor, and an entertainment centre and spa.